Terri Roth's rhino collection. The Cincinnati Zoo researcher is key in the birth of three Sumatran rhinos at the zoo. She is now studying Dr. Herman Mays' DNA sequencing of Ipuh, a rhino who lived at the Cincinnati Zoo. A recent issue of Current Biology details the findings. Dr. Herman Mays Jr. estimates that Sumatran rhinos peaked at a population of about 57,000 an estimated 950,000 years ago. The numbers were reduced to 700 by 9,000 years ago. Today scientists say there are only 100 Sumatran rhinos in the wild. Climate Change played a role with the rising and lowering of sea levels. The added pressure of humans also contributed to the decline. Dr. Terri Roth, the Cincinnati Zoo's Vice President of Conservation and Science, and director of CREW, anticipates looking at specific genes to study health and reproductive issues. 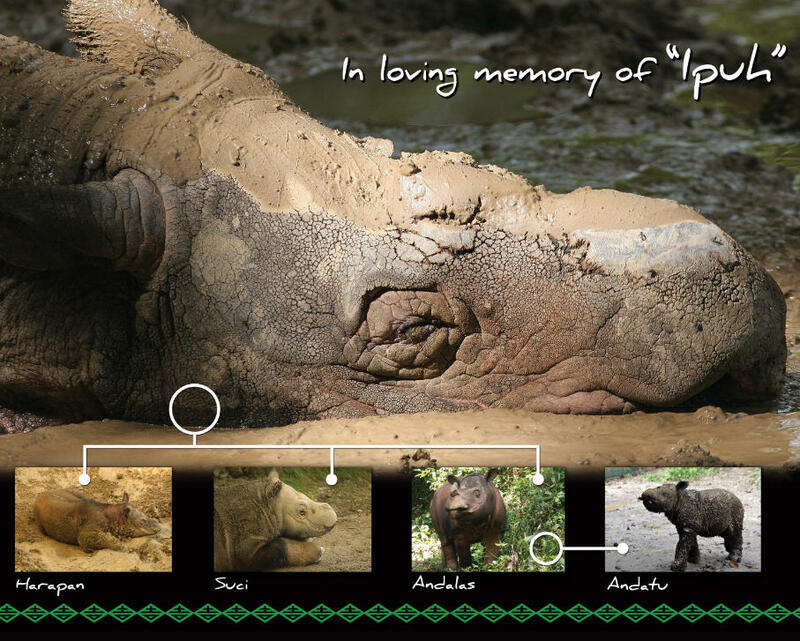 Roth's research was key in three Sumatran rhinos being born at the Cincinnati Zoo, all fathered by Ipuh. A half a world away at the Sumatran Rhino Sanctuary, Harapan is finally ready to breed. It seems like only yesterday he said goodbye to the Cincinnati Zoo. Born in 2007, he was one of three rhinos to be sired at the zoo, spent some time in Los Angeles before returning to Cincinnati. 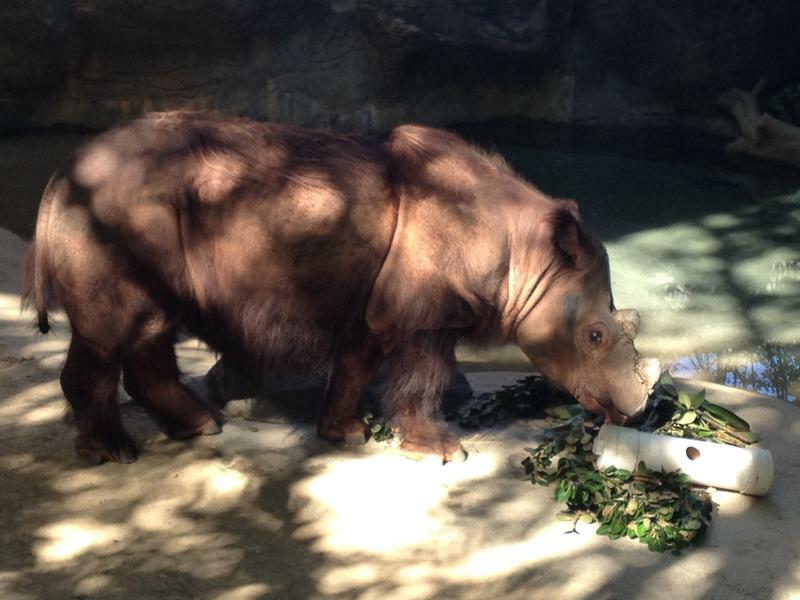 At the time Harapan was the only Sumatran rhino on display in the world. But in 2015, the Cincinnati Zoo decided to move him to Indonesia to help try to save the species. Another male the Cincinnati Zoo sent to Indonesia is contributing. He’s already sired two calves. The Zoo’s Vice President of Conservation and Science Teri Roth says there are only 100 Sumatran rhinos left in the wild, so time is of the essence. Roth is optimistic because people are donating more money and the Sumatran Rhino Sanctuary has doubled in size this past year. The next step she says is to round up wild rhinos in Sumatra and bring them to a sanctuary to expand the genetic pool when breeding. The Cincinnati Zoo's Sumatran rhino, the only one on public display in the world, will leave the Zoo permanently in October to live in Indonesia.